The Best Kitchen Renovation blogs from thousands of top Kitchen Renovation blogs in our index using search and social metrics. Data will be refreshed once a week. 2.3 Reddit - Kitchens! Because we love them. Kitchen Renovation newsletter is a comprehensive summary of the day's most important blog posts and news articles from the best Kitchen Renovation websites on the web, and delivered to your email inbox each morning. To subscribe, simply provide us with your email address. Minneapolis, MN About Blog CliqStudios Cabinets is America’s #1 online seller of semi-custom kitchen cabinets. Read and discuss topics including kitchen design, cabinet construction, decorating, and related issues. Facebook fans 105,347. Twitter followers 937. Nationwide About Blog Bathroom cabinets and kitchen cabinet blog provided by the Kitchen Cabinet Kings. We provide kitchen design ideas, cabinet shopping tips, cleaning secrets, and cabinet maintenance tricks. Facebook fans 92,639. Twitter followers 7,154. 3. Reddit - Kitchens! Because we love them. San Francisco, CA About Blog Do you enjoy being in the kitchen? Does the thought of remodeling an old kitchen make you tingle? Did you find a super-cool kitchen gadget or appliance that you think the rest of the world simply must know about? Facebook fans 1,085,647. Twitter followers 469,521. About Blog In the blog you will find useful ideas and advice to design your kitchen. Read the blog and design your kitchen the way you want. Facebook fans 16,197. Twitter followers n/a. NYC About Blog Sweeten handpicks the best contractors for major renovations. Explore kitchen renovations, remodel costs, and design ideas. Facebook fans 11,563. Twitter followers 1,033. Charlotte, NC About Blog I hope you find my blog encouraging and unintimidating. This is where I share my ideas and adventures in decorating a home. Facebook fans 11,701. Twitter followers 9,624. Evanston, IL About Blog Information regarding the kitchen and bathroom industry that covers design, products, and ideas for designers and consumers alike. Facebook fans 3,252. Twitter followers 6,177. La Crosse, Wisconsin About Blog Learn more about the world's largest kitchen and Bathroom Remodeling. Our systems approach will help you build a profitable franchise outlet. Our mission and philosophy at Kitchen Solvers is to provide franchisees with the tools they need to service customers in a manner that exceeds their expectations. Facebook fans 119. Twitter followers 91. Columbus, OH About Blog Kitchen Kraft is the premier design & build Kitchen remodeling company in Columbus, Ohio. Certified kitchen designers can craft the kitchen of your dreams, see and feel the products chosen at the Kitchen Kraft Columbus showroom, professional Kitchen Kraft carpenters will install the dream kitchen. Facebook fans 816. Twitter followers 1,101. Western Canada About Blog The superior cabinets kitchen design blog. Featured articles about kitchen Renovation Help, kitchen renovation tips & tricks, kitchen design trends. Let our professionally designed showrooms inspire your upcoming kitchen renovation project. Facebook fans 2,755. Twitter followers 1,698. About Blog At Kitchen Connection, our impressive range of quality kitchens have been developed over the years to incorporate the latest design trends from Europe and Australia. We believe the best kitchen designs are the ones created by people who understand your needs. Our design experts know how to incorporate your ideas into their designs to create the perfect kitchen that complements your lifestyle. Facebook fans 3,923. Twitter followers 9,655. New York, NY About Blog An award-winning remodeling firm specializing in custom kitchens and baths in the Chicago area since 1987, Drury Design’s talented professional designers help each client create exceptionally personalized spaces. Expert planning, installation and project management services ensure each remodeling project exceed expectations and are completed on schedule. Facebook fans 1,442. Twitter followers 7,920. Sydney, Australia About Blog Art of Kitchens employ experienced Designers and Cabinet Makers with an eye for detail that can design and build not only kitchens, but also cabinetry for laundries, outdoor kitchens, wardrobes, living room, study, cellars as well as any other joinery you may need for the home. Art of Kitchens have a reputation for award winning kitchen design and kitchen renovation in Sydney. Facebook fans 313. Twitter followers 44. About Blog We are the kitchen & bathroom remodeling experts. Professional work, affordable prices. Licensed & insured. Read the latest news, tips and trends in kitchen and bathroom remodeling here. Sheffield, England About Blog Direct Kitchens began in 1985 as a family business, manufacturing and providing Custom Made Kitchens and Cabinetry to Boutique Builders across Melbourne. Our unique system has been fine tuned over the years and we can offer our customers a consistently high level of service throughout every step of their Kitchen Renovation process. Facebook fans 1,045. Twitter followers 519. Waco, TX About Blog At DreamMaker Bath & Kitchen, we never stop looking forward. It's this tireless attitude that has made us who we are today. We pride ourselves on being one of the most trusted names in the kitchen, bath and interior remodeling industry. Facebook fans 8,957. Twitter followers 139. New York, NY and Englewood, NJ About Blog For over 20 years, our company proudly continues to design, build, supply and install kitchens, baths, custom cabinets, and counter tops for the New York and New Jersey area. Our goal is to simplify renovations, a seemingly overwhelming task. We are a one-stop shopping experience and carry everything you need for your renovation, remodeling, and installation project. Facebook fans 1,220. Twitter followers 212. Fairfield, New Jersey About Blog Renovation Angel is North America’s premier donation program for luxury kitchens, showroom displays and other high-end renovation items. Renovation Angel is the financial savvy way to renovate. Facebook fans 8,857. Twitter followers 1,334. Padstow, NSW About Blog Wonderful Kitchens is an established family business. We custom design kitchens to suit your personal tastes, budget and lifestyle needs. A great kitchen renovation can improve your family’s quality of life and add thousands of dollars to the value of your home. Our kitchen designs can bring great beauty to your home. Follow our blog for more information. Facebook fans 667. Twitter followers 3. Lewisberry, PA About Blog Avoid the cost of major kitchen remodeling with custom kitchen cabinet refacing from Kitchen Saver. Kitchen Saver is committed to providing our customers with the highest value and most innovative home improvement products available. We are dedicated to making your kitchen remodel not only beautiful, but convenient and affordable as well. Facebook fans 7,444. Twitter followers 146. About Blog Bath Bespoke is renowned for its carpentry services, handcrafting luxury bespoke kitchens, joinery, furniture, and wooden flooring across Bath and Bristol. Facebook fans 591. Twitter followers 1,512. Melbourne, Victoria About Blog At Zesta Kitchens in Melbourne, we believe in quality on-time kitchen renovations. We deliver on time, every time. Our design & renovation pros will work with you to create your ultimate kitchen. Our kitchen showrooms around Melbourne offer both modern and traditional custom kitchen designs. Facebook fans 1,088. Twitter followers 17. Global About Blog Granite Transformations is a global full-service home and business remodeling resource known for its revolutionary stone resurfacing process. View kitchen & bathroom before & afters, get kitchen design ideas, and learn about granite countertops and cabinet refacing. Read our recent blogs. Facebook fans 30,632. Twitter followers 2,174. Halifax, Nova Scotia About Blog From concept to completion, CASE Design is your local & experienced design-build, renovation, remodeling, project & construction management expert. Here you will find Kitchen renovations, Bathroom renovations, Custom home renovations and remodeling in Halifax area. Facebook fans 437. Twitter followers 277. Naperville, IL About Blog The Kitchen Master is a residential renovation firm that specializes in Kitchen and Bathroom projects for the western suburbs of Chicago. Looking for information about home design, remodeling and renovation? Visit The Kitchen Master blog today for the best service in Naperville, Illinois. Facebook fans 422. Twitter followers 60. About Blog Smith & Smith are renowned for beautiful made-to-measure kitchens at friendly prices. With over 30 years experience building beautiful custom kitchens and cabinets in Melbourne. Let us make your dream kitchen renovation a reality. Kitchen renovation blog articles that will inspire and inform: latest materials, designs, appliances and ideas. Love your new kitchen. Facebook fans 830. Twitter followers 1,353. Verona, NJ About Blog NJ Kitchens and Baths is a family owned carpentry business based in Bloomfield New Jersey that offers quality construction along with great attention to detail and customer satisfaction. We take great pride in our workmanship & believe in building solid relationships. NJ Kitchens and Baths is a home improvement remodeling contractor you can trust. We specialize in kitchen and bathroom remodeling. Facebook fans 285. Twitter followers 42. South Pasadena, California About Blog Mission West is your one stop shopping showroom for all of your Interior, Kitchen & Bath remodeling & new construction needs! Facebook fans 100. Twitter followers 28. Palatine, IL About Blog Cabinets Plus is here to help you transform your home with our kitchen and bathroom design and remodeling services. We are a full-service kitchen remodeling company that has been in business for over 50 years. We will work with you to provide and install your new cabinetry, counter tops, tile, flooring, plumbing, and electrical products needed to complete your new kitchen. Facebook fans 121. Twitter followers 64. About Blog Aspen Kitchens started with the vision of creating a place where homeowners could receive quality, understanding and customer service we would expect in our home project. Whether you need a full Kitchen or Bath remodel, or updates throughout your home Aspen Kitchens is your one stop shop for design and installation. About Blog Williams Cabinets is a boutique kitchen renovation company specialising in personalised custom made kitchens and cabinetry in Greater Melbourne. Our passion is providing expertly crafted kitchens and living spaces. Great design is about helping people to create their vision. Newtown, PA About Blog Langs Kitchen and Bath of Bucks County is one of southeastern Pennsylvania's premier kitchen and bath design firms. We are prepared to assist you with the design and renovation of your kitchen, bathroom, powder room, entertainment area, closets or practically any living space. Let our kitchen and bath design experts offer creative ideas and styles to match your taste and dreams. Facebook fans 339. Twitter followers 296. Geneva, IL About Blog PB Kitchen Design is a Chicagoland kitchen design firm that has been making its mark on the industry for over two decades. We continue to delight our clients by applying innovative thinking, problem-solving knowledge, and precise technical expertise to their unique kitchen and living space challenges. Facebook fans 853. Twitter followers 94. Connecticut, USA About Blog Ackley Cabinet LLC is a unique kitchen remodeling company that transforms your existing cabinets into new custom cabinetry. As a full service firm, our staff will be happy to guide you through the kitchen remodeling process as well as provide coordination services for all other aspects of your project. Facebook fans 176. Twitter followers 16. Winnipeg, MB, Canada About Blog Kitchen Designs is Manitoba's kitchen & bathroom renovation specialist! With over 23 years experience, we'll ensure you get the kitchen of your dreams! At Kitchen Designs, our passion is helping our clients design and build the kitchen of their dreams! Follow our blog for some inspiration! Facebook fans 274. Twitter followers 389. Calgary, Alberta About Blog Liber Kitchen Cabinets is a Calgary cabinet maker with the highest quality kitchen cabinets to choose from and the highest quality service available. Read our helpful blogs to keep you informed of all of our latest news, updates, product information and more. Facebook fans 3. Twitter followers 26. North Haven, CT About Blog The Kitchen Company has satisfied thousands of homeowners from every corner of Connecticut with our uniquely captivating designs. From Avon to Wilton, Greenwich to Windham, our kitchens have become yours, rich in character and individuality. Our design professionals can show you how you can create a kitchen that is genuinely you, for less than the impersonal home centers can. Facebook fans 2,340. Twitter followers 99. Cleveland, ohio About Blog Studio 76 Kitchens & Baths offers design, renovation and installation with a unique focus on custom cabinetry and lighting for kitchen and bath remodeling. Here we share remodeling tips and advice in their kitchen and bath design blog. Facebook fans 375. Twitter followers 810. Pembroke Pines About Blog Fresh Floor Kitchen and Bath has been providing high quality kitchen, bathroom and floor remodeling solutions to South Florida since 1996. Every Detail Counts Fresh Floor Kitchen & Bath has a wide variety of furnishings and finishes for your bathroom remodeling projects. Facebook fans 262. Twitter followers 2. About Blog Ace Kitchens and Laminates provide some of the best kitchen design, manufacturing and installation services in Wellington. A Beginners Guide to Kitchen Renovations If you’re looking at doing your first-time kitchen renovations, you’re making a good move. Winston Salem, NC About Blog DreamMaker is Winston-Salem and the Triad's professional kitchen and bath remodeling team. DreamMaker's focus is to provide an easy-to-live-with, seamless total process for you and your kitchen remodel, bath renovation or home construction project. Facebook fans 283. Twitter followers 248. About Blog The Kitchen Broker are award winning experts who will help you realize your dream kitchen for the very best quality and price. - Looking at kitchen designs or kitchen renovation? The Kitchen Broker's blog section will keep you informed of the latest kitchen design, appliances and hardware. Facebook fans 2,662. Twitter followers 335. New Jersey, USA About Blog Home Remodeling in New Jersey - Bathrooms, Kitchens, Basements and Home Additions. Facebook fans 241. Twitter followers 556. Kansas City - USA About Blog Renowned Renovation transforms baths and kitchens. Free In-Home Estimate, 5 Star, On-Time and On-Budget Kitchen Bathroom Remodeling Services. Facebook fans 384. Twitter followers 77. About Blog We are a full-service residential building and remodeling contractor that prides ourselves in providing the best customer experience along with quality craftsmanship. We specialize in building outdoor kitchens and various in-home remodeling services throughout Southwest Florida. About Blog Specialist in Kitchen renovations in Sydney, and Bathroom Renovations in Sydney. 30 years experience! Kitchen and Bathroom Renovations Sydney. West Palm Beach, FL About Blog Absolute Kitchen & Bath Works has designed and installed hundreds of custom countertops and cabinets. Absolute Kitchen and Bath Works provides both residential and commercial services. We offer exceptional service to both homeowners looking to update their kitchen or a business owner who wants a bathroom that will impress clients. Facebook fans 88. Twitter followers 89. About Blog Latest for Kitchen & Bath : Indispensable business tools, product information, design ideas, cost-estimating tools and management advice that enable remodeling businesses to thrive. Facebook fans 8,180. Twitter followers 16,928. About Blog We, at Helpful Kitchen Tips, are committed to providing high-quality, original content on kitchen related matters. All our content has been prepared by industry experts who know the ins and outs of home/ kitchen improvement. Get Useful tips for the kitchen: about the equipment of this special, oft-used room in our home. About Blog Most kitchens do not need to be replaced to improve their appearance or to increase functionality. Imagine keeping part or all of your existing cabinetry, and replacing all the visible surfaces to give your kitchen that new kitchen look and feel for a fraction of the cost of replacing the entire kitchen. Find the latest inspiration, ideas and tips for replacing appliances. Melbourne About Blog Mint Kitchen Group has more than 100 combined years of custom design experience in the kitchen industry. Designers are qualified as Certified Kitchen Designers and Registered Building Practitioners, and have overseen hundreds of kitchen and bathroom projects in their careers. Facebook fans 1,747. Twitter followers n/a. Lynnwood, WA About Blog With a team of highly trained professionals, as well as top-of-the-line products, we have what it takes to get the job done. Facebook fans 120. Twitter followers 6. Baltimore, MD About Blog Kenwood Kitchens has 30 years of experience. Click here to learn more about our kitchen and bath contractors in Baltimore, Columbia, Annapolis, Lutherville, Bel Air. Follow our Kitchen & bath blog for ideas, trends & plans on kitchen remodels & bathroom remodels. Facebook fans 46. Twitter followers 21. About Blog MDM Custom Remodeling Inc has been offering outstanding commercial and residential remodeling, renovations and new construction services in greater Los Angeles with vast reputation and admiration. MDM Custom Remodeling is offering best bathroom and kitchen remodeling, room addition, 3D design services throughout Los Angeles, CA. Facebook fans 1,343. Twitter followers 1,165. Massachusetts & New Hampshire About Blog We are your trusted Kitchen and Bath cabinet specialists in design and remodeling since 1934. Award Winning Kitchen and Bathroom Remodeling. Facebook fans 884. Twitter followers 70. About Blog USA Cabinet Store is a family owned business who takes exceptional pride in making every client feel like you are part of our family. We are leader in kitchen cabinets, kitchen remodeling and bath remodeling industry. We believe that everyone deserves a beautiful designed kitchens and bathrooms. Facebook fans 1,139. Twitter followers 4,770. Queensland, Australia About Blog Kitchen TRENDS are specialists in custom-made designer kitchens and cabinetry, taking care of the entire renovation for you. Our team combines the skills of a group of amazing Directors, key staff and ideas of expert designers that all work together to bring your renovation together. 1504 2nd Ave, New York About Blog Klein Kitchen & Bath is a New York City based kitchen remodeling and bathroom renovation specialty company, with a full-stocked showroom in Manhattan's Upper East Side. Klein offers a unique and refreshing approach when it comes to home improvement projects - Klein will lead you through the entirety of your remodeling project. Facebook fans 638. Twitter followers 29. Rockville,MD About Blog Homebuilding & Renovating is the UK’s best selling self-build magazine. Full of inspiration and practical advice for your project, the magazine also features a regular Beginner’s Guide section with advice on finding the finance, build costs, insurance and planning to help you get started. Facebook fans 26,144. Twitter followers 8. Toronto, Ontario About Blog I’m Linnea – a Swedish-born, Toronto-based designer with a passion for creating custom spaces designed to suit your family’s lifestyle and aesthetic. My goal is to create a space that people want to spend time in – a place where your kids will want to do homework, where you will want to cook, and where your friends will want to come Follow. Facebook fans 261. Twitter followers 15. Melbourne, Sydney & Brisbane About Blog At Blue Tea we strive to take care of all of your new kitchen designs and colour consulting needs. We design and install your new kitchen to perfection. Bespoke and affordable to meet all your kitchen renovation needs. Let's design your kitchen your way. Follow our kitchen design blog at blue tea and get Inspiration for your new renovation. Facebook fans 1,769. Twitter followers 86. Albuquerque, NM About Blog Dreamstyle Remodeling is proud to provide a full range of exceptional, brand-name home products and expert installation. Our philosophy is simple: make efficient use of high quality materials and production methods to deliver optimal product value. Facebook fans 958. Twitter followers 16. Facebook fans 416,970. Twitter followers 16,744. Elmhurst, IL About Blog Meeder Design & Remodeling are the Home Improvement Experts in Kitchens, Bathrooms and Basement Remodeling throughout the Western Suburbs of Chicago, Illinois. Facebook fans 547. Twitter followers 3,648. Ottawa, ON About Blog Best kitchen cabinet makers and kitchen renovation experts in Ottawa, Vars, and Orleans for over 25 years creating custom kitchens, cabinets and renovations. MR Kitchens has been committed to the design and manufacturing of kitchens that appeal to your senses on all levels. Facebook fans 321. Twitter followers 234. 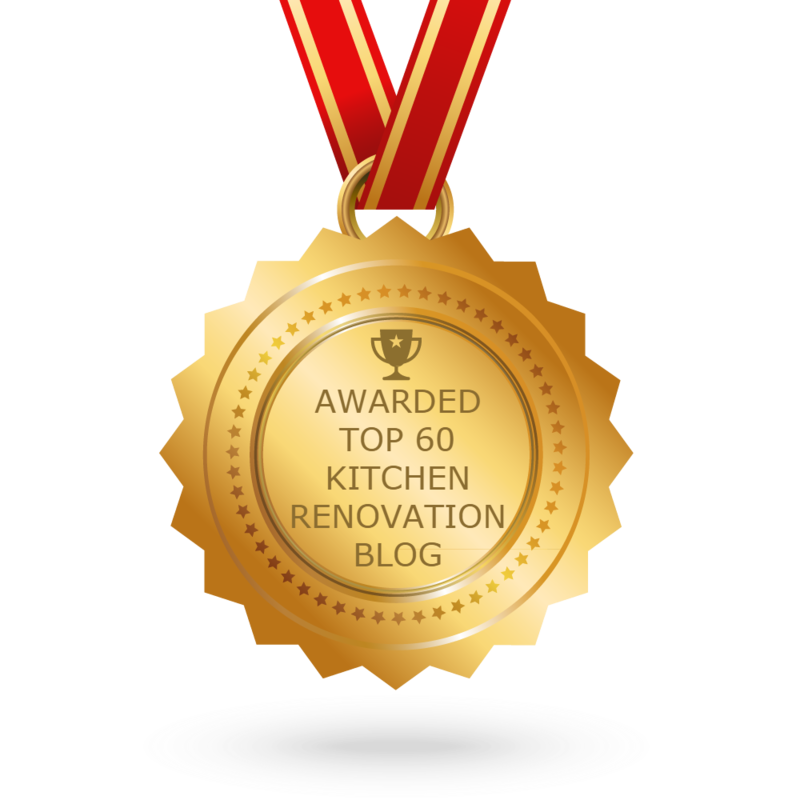 CONGRATULATIONS to every blogger that has made this Top Kitchen Renovation blogs list! This is the most comprehensive list of best Kitchen Renovation blogs on the internet and I’m honoured to have you as part of this! I personally give you a high-five and want to thank you for your contribution to this world.